If you’re interested in reading original research articles, try PubMed, a searchable library database sponsored by the National Institutes of Health (USA). Nearly all medical/clinical research that is published will find its way into the PubMed database. The articles are intended for scientists and medical professionals and can therefore be quite technical, but its still worth having a look. PubMed has excellent animated tutorials called "Quick Tours" to help you get started. We highly recommend these. Most research articles will have an abstract that is a basic summary of the research and these abstracts can be read for free. Access to the full text of the article usually requires a subscription to the medical journal or a one-off payment for access to a downloadable PDF copy. The fees to access these articles can be quite expensive. Click on PubMed Central (PMC)- all articles in here are free, full text access. A defined list of journals make up the PMC journal list. Alternatively, go to PubMed and click on the ‘Limits’ box on the search screen. Your search will retrieve articles published in PMC journals but also journals outside of this listing, as well. In “Limits” type in the text you would like to search for: e.g. 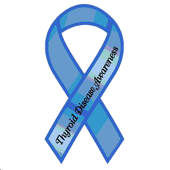 “thyroid eye disease”. Next, define ‘limits’ that will work best for you, e.g. click on ‘free full text’. Once this is done, click on ‘Go’ at the bottom of the screen. Results will appear in which the articles listed are all available for free online. This is a reliable source of material – publishers of medical journals and scientific granting agencies have made these articles available online specifically so that the general public has access. Click on the free article, or other highlighted text that says ‘free full text’. You should be taken straight to the article and you might be given the option of downloading the article as a PDF file.